TNM travelled to the constituencies of Boath, Asifabad and Khanapur, all ST reserved constituencies to assess the mood on the ground. 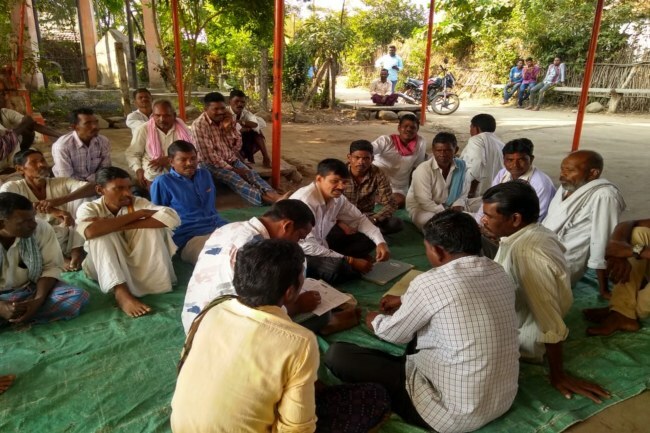 For nearly a year, the mandals of erstwhile Adilabad district, comprising Sirpur, Chennur, Bellampalli, Mancherial, Asifabad, Khanapur, Adilabad, Boath, Nirmal and Mudhole have remained tense due to the reservation battle between the Adivasis and Lambadas. This conflict has now become an electoral issue, spelling trouble for the ruling Telangana Rashtra Samithi (TRS), which may be routed in the tribal belt of the state. Banjara Lambadas, who are originally from Rajasthan, are a community that has settled across the Indian subcontinent. While they are listed as Backward Class (BC) or Other Backward Class (OBC) in some states, they are listed as Scheduled Caste (SC) or Scheduled Tribe in other states. The Adivasi anger against Lambadas stems from the fact that they are categorised as STs in Telangana. Adivasis claim that the Lambadas have been eating up opportunities reserved for them. The anger escalated into violence in October 2016 when the Minister of Tourism and Tribal welfare, Azmeera Chandulal erected a statue of ‘Shaanki Maata’, considered a deity of the Lambadas in the Tribal Musuem, next to Adivasi leader Komaram Bheem at Jodeghat in Kumram Bheem Asifabad. Alleging cultural appropriation, the Adivasis burnt down the statue which led to a series of minor incidents in the following months in the region. The Lambadas then allegedly garlanded the Komaram Bheem statue with slippers in Hasnapur, Utnoor, triggering violence and leaving several injured. As the violence couldn’t be contained, due to hoax messages, the district administration shut down the internet services in December 2017. This ban remained in place for two months. Organising themselves under the political group Thudumdebba led by Soyam Bapu Rao, who is the present Congress candidate for Boath constituency, Adivasis demanded the state government to delist the Lambadas from the Scheduled Tribe category. Another Congress leader Athram Sakku, who is contesting from Asifabad also played a key role in the protests. However, playing it safe, the TRS did not bite the bullet and remained silent on the contentious issue. The TRS’ stand not to hurt both the communities could now help Soyam Bapu Rao and Athram Sakku in the upcoming Assembly Elections. Mankapur is a tiny Gond (tribal) hamlet close to the Boath main bus stop. This village has 100 houses with a population of close to 1,500. This village was adopted by the sitting TRS MLA Rathod Bapu Rao. As this reporter, reached the village, the men including their Patel (chieftain) had gathered at the Hanuman temple to count the village fund they had collected so far. I pose the question, “Are you happy with the TRS government?” The men awkwardly look at each other hoping that someone would answer the question. “No, we are not,” responds, 28-year-old Jalapath, a degree holder from his village. Jalapath says that they are tired of the sitting TRS MLA Rathod Bapu Rao, a non-resident of Boath, who never visited their village. According to the villagers, Bapu Rao had adopted their village under the “Grama Jyothi” initiative, however, he failed to ‘transform’ the village. “He didn’t even come once to this village after adopting it. Till date we didn’t get the water connection for each household under Mission Bhagiratha,” says the Patel. 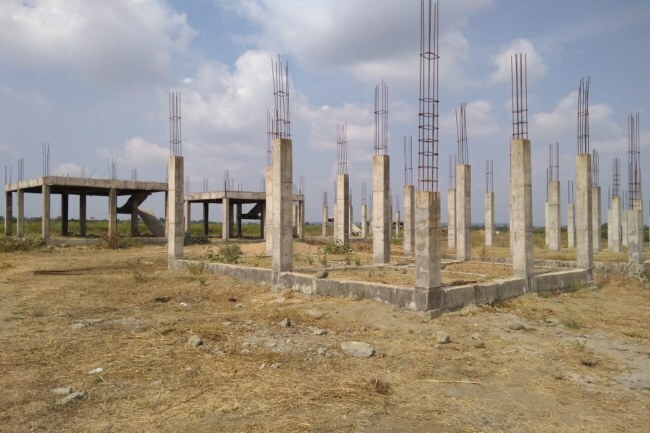 The villagers are angered that the neighbouring village of Yapalguda, adopted by Adilabad MLA and Forests Minister Jogu Ramanna has better roads and amenities, while they remain left out. The Gonds are determined to elect Soyam Bapu Rao, Adivasi leader, who recently joined the Congress. The village youth say that they are not voting for Rathod Bapu Rao because they want ‘change.’ This perception is shared across the constituency. The major setback for Rathod is him being ‘inaccessible’ while Soyam, enjoys the credit of being a mass leader and an accessible politician. It would be unfair to argue that it is only the Adivasis who support the candidature of Soyam, even the Munnuru Kapus, who belong to the BC community and constitute the majority population in the constituency back Soyam. Asifabad is one among the 12 ST reserved constituencies in the state. The Adivasi-Lambada conflict is still fresh in the minds of the people, with the Adivasis even declaring self-rule, flying black flags across the villages. 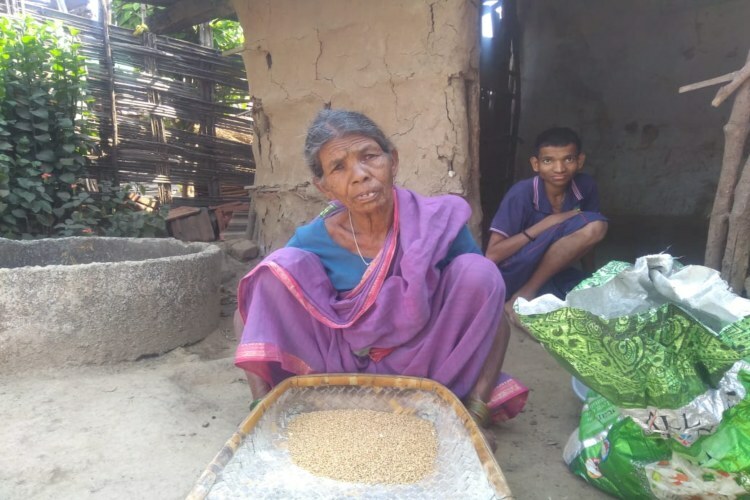 The Adivasis in this district say they have unanimously decided to vote out sitting TRS MLA Kova Laxmi, who had defeated Congress candidate Athram Sakku in the 2014 polls, winning by 19,055 votes. Laxmi has earned the wrath of the public because of her high-handedness and being inaccessible. The Congress on its part has seized upon the anti-incumbency by effectively campaigning about the failure of TRS’s pet schemes including Mission Bhagiratha, which aims to provide drinking water to every household and the double-bedroom for the poor. Sakku’s role in the Adivasi struggle has also earned him the mass leader image. Asifabad has 1,90,000 voters, out of which 40,000 are Adivasis. Known for taking unanimous calls and abiding by the decision of the community leader, the call given by Adivasi community leaders to unseat Laxmi gives little hope for the TRS to win back the constituency. The Congress party’s decision to offer the Khanapur seat to new joinee from TRS Ramesh Rathod over Ajmeera Hari Naik hasn’t gone down well with his supporters, who are allegedly trying to thwart Rathod’s chances in the polls. Ramesh Rathod, the former Adilabad MP is a master when it comes to politics, splitting the Adivasi vote and successfully winning elections. It remains to be seen, if Rathod can overcome the infighting in the Congress and sail through. Significantly, the Thudumdebba—the Adivasi political group—have voiced support for the BJP candidate Satla Ashok. Despite belonging to the Lambada community, several Adivasis say the former MLA is a credible face and is accessible. However, Adivasis are split over their decision to back the BJP, according to an Adivasi leader. While the TRS had appeared to be out of the running in the constituency owing to the conflict with the Lambadas, the Thudumbdebba’s decision to support the BJP could help split votes in its favour.